Green tea has been around for thousands of years. It’s no wonder — the stuff sure is tasty, and is shown to have a number of great health benefits. But there are plenty of other reasons to keep green tea around. From cleaning carpets to giving your feet a much needing pampering, read on for some surprising ways to use green tea. 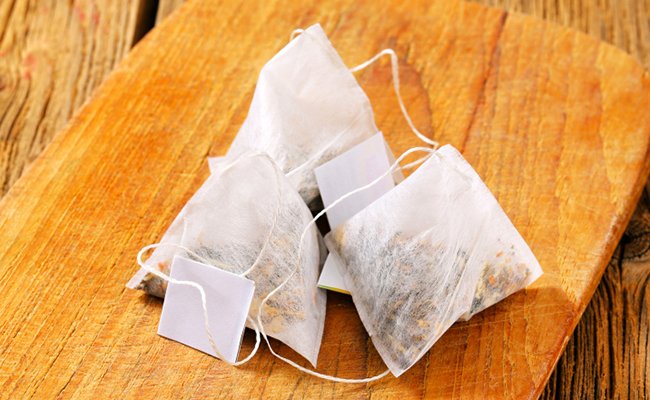 Quick Tip: Store your used green tea bags in the fridge so they don’t spoil. 1. Reduce Eye Puffiness. The tannins and caffeine in green tea helps reduce both puffiness and dark circles under the eyes. Brew two bags of green tea. Take the bags out of the water and, with your fingers, squeeze out as much liquid as you can and let them cool to room temperature. Put one tea bag over each eye and wait 10 minutes before removing. 2. DIY Facial Toner. 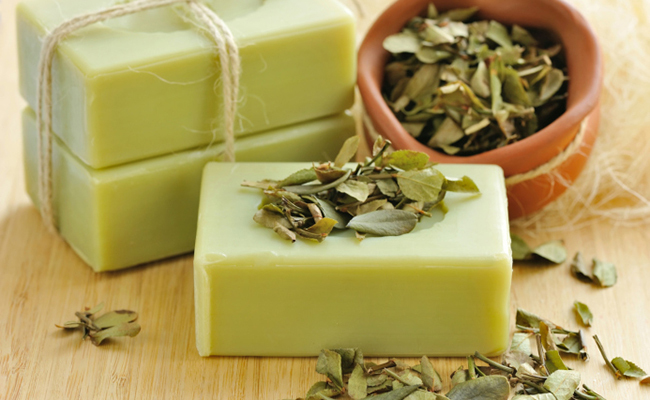 Green tea is found in a number of commercial skincare products — but you can make some at home, too! It’s also ridiculously easy: just brew some green tea, let it come to room temperature and transfer it to a clean spray bottle. Store in the fridge. Twice a day, spritz some on your face before using moisturizer. It’s that simple! 3. Soothe Sunburns. Green tea contains properties that help with inflammation — a major thing you want to combat if you’re dealing with a sunburn. Soak a clean piece of cloth in cooled green tea and apply it to the affected area. 4. Pamper Your Feet. Green tea works well on puffy eyes because it reduces swelling — and the same is true for your feet. After a long day, who doesn’t want to relax with a nice, aromatic foot soak. Click here for a recipe. 5. Reduce Fridge Odor. Nobody wants a stinky fridge. Combat that by placing a dry, unused green tea bag in the refrigerator to absorb moisture. 6. Reduce Trash Odor. A couple unused green tea bags will also help stop foul odors that come from the trash. Keep a few unused bags at the bottom of your garbage can. 7. Clean Greasy Dishes. A used green tea bag is a great DIY sponge for cleaning greasy and grimy dishes. 8. Keep Litter Boxes Fresh. Adding some dry green tea leaves to kitty litter will help keep odors at bay — and, what’s more, your cat won’t mind one bit! 9. Stash In Your Underwear Drawer. Green tea infuses a nice, subtle scent to your unmentionables. Keep an unused green tea bag in your lingerie drawer. 10. Clean Yoga Mats. One great way to clean yoga mats is to wash them in water with diluted green tea. It’ll help keep them smelling fresh. 11. Clean Carpets. No, really! Sprinkling some used (but dry) green tea leaves 10 minutes before you vacuum the carpet will help you pick up more grime AND lightly deodorize both the carpets and the vacuum cleaner. 12. Clean Glass and Mirrors. Instead of tossing your green tea bag after you use it, brew it again, and use that weakened tea to clean windows and mirrors. Transfer room temperature tea to a spray bottle and wipe with a clean, dry cloth. 13. Clean Toilets. Deodorize your toilet by tossing a few used green tea bags in and letting them sit for an hour or two. Remove the bags, scrub and flush. Easy! 14. Toss in the Compost. Green tea bags can absolutely be composted as long as the cloth is biodegradable, which many brands are. 15. Perfect Plant Watering. The big benefit of using green tea in the garden is that it absorbs water. Placing a used and dried tea bag at the bottom of the soil will absorb excess moisture and, over time, help redistribute that moisture more efficiently. 16. Naturally Dye Paper, Easter Eggs and More. Green tea is a great way to dye things, well, green! Click here for detailed instructions.